Looking for a Maternity Nurse? 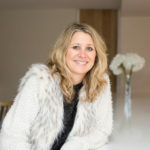 If you are currently expecting, or have a new-born, our Norland Nanny and maternity expert Allie Bell can help you to feel relaxed and confident. A Maternity Nurse will allow you to continue your daily life as normally as possible. A maternity nurse or nanny will provide you with routine guidance and training, catering both to your and your baby’s needs. This might typically include a good baby sleep routine, guidance on feeding, washing, dressing and bonding, organising a nursery and helping around the house with chores. We also provide doulas and nanny consultants. Our Maternity services: Maternity nurses 24 hours/day for up to 6 days a week; Emergency maternity nurses; Doulas; Feeding experts; Maternity consultants; baby sleep consultants; Weaning experts; Specialists in twins, triplets and multiple births including special deliveries and premature babies; Reflux and colic experts. I wanted to make you aware of Allie’s excellent customer service along the way. When I came to Allie I did not possess much knowledge whatsoever with regards to the hiring of maternity nurses or nannies and Allie has always been extremely helpful, honest and forthcoming with advice about the whole process. I have always been very appreciative along the way to Allie for her approach. Allie has always been very understanding and patient with me as I went back and forth with queries and has always helped me to the best of her ability. Allie worked very hard finding suitable candidates who fulfilled all of the requirements and even emailed me over the weekend when the search became urgent. Allie has always gone above and beyond with regards to her level of service in comparison to other agencies I have dealt with and I am certain she will continue to demonstrate this with future clients and continue to be successful. Wishing Allie and your agency all the very best for the future. Laura, London. Once we’ve spoken to you about your needs, we will give you the details of a suitable maternity nurse in your area. All of our maternity nurses are self-employed, so you should arrange any contract and payment deals directly with them. We will charge an introductory fee (see below for ‘How much does it cost?’). You should agree payment terms and conditions directly with your maternity nurse. All of our maternity nurses are self employed and are liable for their own Tax and National Insurance contributions. Please note: Clients are requested to reimburse reasonable traveling expenses for interviews and travel at commencement of post. For overseas positions, the employer is responsible for all travel and medical insurance and the cost of the return flight. Send us your details and we’ll call you back to discuss how we can meet your maternity needs.